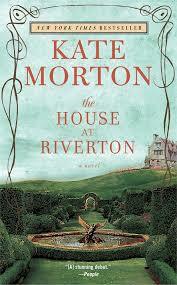 This was my first book by author Kate Morton and I enjoyed it very much. I’ve referred to it as a written form of Downton Abbey as a form of comparison. But I didn’t like Downton Abbey when I tried watching a few episodes from the first season. Funny how much I enjoyed this book as some of the subject matter mirrors that show. Grace is the narrator of this story, a proverbial fly on the wall at a great estate, watching and listening to the upper class as their lives unfold. Grace starts telling the story of her service at Riverton, starting when she was 14 years of age. In the present, Grace is 99 years old but as she describes her service and the servants she worked among you are swept into the past. Mr. Hamilton, Mrs. Townend, Nancy and Alfred all take on a life and I found myself picturing them quite vividly. The children of the estate – David, Hannah and Emmeline – are the beautiful upper class, destined for brilliant futures. While the plot is unfolding and giving away what will happen in the future, I still found myself wishing for different outcomes. *SPOILER ALERT* Then scroll down for the food! Grace talks to Ursula, the producer of the movie about Riverton, and tells her she never married Alfred. Then later in the story as Grace recounts Alfred’s courtship I still found myself pulling for them to become a couple. But I knew that wouldn’t happen because 99 year old Grace stated it didn’t happen. She also mused about what happened to Hannah’s marriage to Teddy (this was before Hannah was engaged to Teddy). Even though old Grace as the narrator gave away some of the plot there were still some twist when you read about the courtship of her and Alfred, and the interactions of Hannah and Teddy as well as a big fat surprise (for me) at the end of the book. The poet who took his life by the lake at Riverton was mentioned from the very beginning but the circumstances and the truth was not revealed until the few last chapters. Sylvia has brought me a cup of steaming tea and slice of lemon cake. Watched with wonder as after course of splendid fare disappeared up the chute (dumbwaiter) – mock turtle soup, fish, sweetbreads, quail, asparagus, potatoes, apricot pies, blancmange – to be replaced with dirty plates and empty platters. I lingered by the window, hoping, imagining the soup – ham, leek and potato – bubbling atop our wood stove, filling our tiny kitchen with its salty film of steam. So vivid was my imagining I could smell the broth…. Put the butter or oil in a large, deep pot over medium heat. When the butter melts or the oil is hot, add the vegetables. Sprinkle with salt and pepper and cook, stirring, until starting to soften, 2 or 3 minutes. Add the stock, adjust the heat so it gently bubbles, and cook until the vegetables are very tender, about 20 minutes. 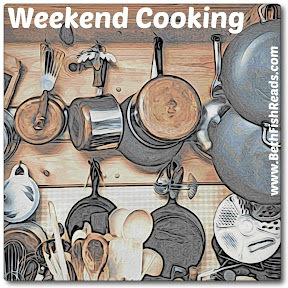 I will be joining Deb at Kahakai Kitchen for her Souper Sunday series this with Beth Fish’s Weekend Cooking Series . yummmmmm — I always think of potato leek soup as being perfect for spring. I have read Morton, but haven’t gotten to this one yet. I’d probably love it, And count me as a big fan of Downton. Hmmmm…maybe I ought to give Downton Abbey another try. This was my first Morton book but I am sure to read more. I love a good leek and potato soup, and in the summer chilled, with cream! I started House at Riverton, but didn’t finish, why I forget now exactly. May try another of hers. I may try it cold, Claudia, I never thought about it cold. Sounds good. Kate Morton is a lovely writer 🙂 I’m not a fan of soup, but Lemon cake sounds good. The lemon cake is totally on my list. My sweet tooth demands it! Mmmm. Sounds delicious! I’ve been meaning to read all of Kate Morton’s books as they come out, but haven’t read a single one yet! I saved a hambone and some leftover Easter ham to make soup, so I may use this recipe you’ve shared, but I don’t see where you add the ham. At the end? Ah, I was curious about the ham, too. 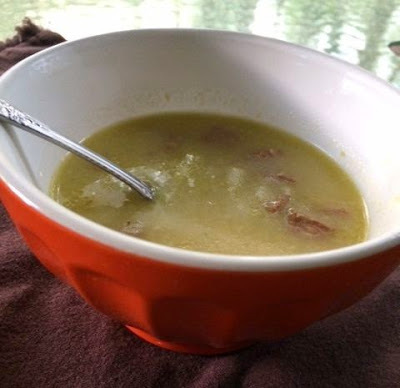 I have a vegetarian version of leek soup that is so easy, but ham sounds like a good accompaniment. I like the way you pulled it out on a spoon to highlight the ingredient. I’m always looking for better ways to present food in photographs. Thank you, Roberta, it’s a versatile soup and easy adapted. Thanks for visiting me! Thank you Simona! Your website is amazing, love your photography.